Aran Group now manufactures high-performance bags for Intermediate Bulk Containers (IBC) and bag-in-box (BIB) applications in the United States through its Aran U.S.A. division. The Israeli packaging company completed a $5.2 million investment in a new production facility in Greer, South Carolina 18 months ago and is now fully operational, with strategically placed warehouse and distribution centers in California and in Ontario, Canada. “We sell products in over 40 countries worldwide and our new plant and two distribution centers enable us to provide faster service and support our customers across the Americas,” says Felix Mallul, VP of Sales and Marketing. Aran provides specially engineered bags from one quart to 300 gallons or more for aseptic and non-aseptic packaging of fruits and vegetables, purees, sauces and condiments, dairy products, liquid eggs, edible oils, wines and water. In industries like food and beverage, where protecting perishable ingredients and nutritional values take precedence, Aran engineers and produces optimal bags, laminates, and fitments to maximize freshness and preservation while ensuring safe transportation. 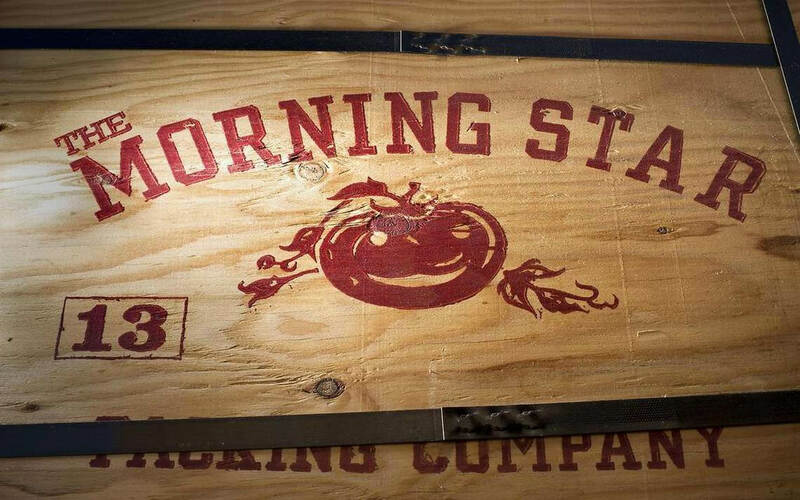 A long-time customer, The Morning Star Company – the world’s leading tomato processor of high quality pastes, sauces, purees, and diced tomatoes – uses Aran’s 55- and 300-gallon paste bags to ship tomato paste, its leading product, to customers around the world. The metallized barrier bags are aseptically filled and sealed with the Franrica closure. This ensures that Morning Star’s tomato paste keeps its consistency from the time of processing. It helps protect critical characteristics of the preservative-free tomato paste, which include color, flavor, texture and pH. “Now that Aran is manufacturing here in the States, we know our collaboration will be even stronger,” Salinas added.